Twenty years ago, in the town of Hudson Quebec, Canada’s very first pesticide by-law was passed. The law was created to protect residents – most importantly, vulnerable populations such as children, expecting mothers and the elderly – from exposure to unnecessary pesticides (including herbicides and fungicides) commonly used on lawns and gardens and in public parks. Pesticides are designed to kill and in addition to threatening human health, they also impact our ecosystems by destroying beneficial insects and plants; polluting rivers, streams and aquatic life; and contaminating our soil. 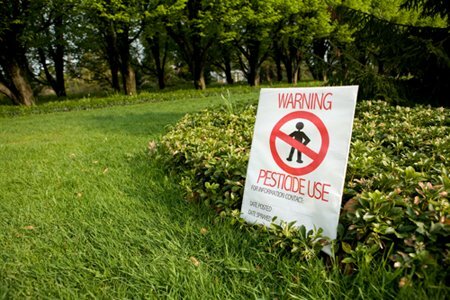 Unlike most eco-initiatives, the Hudson pesticide campaign was not spearheaded by environmental organizations, but was instead launched by a concerned dermatologist whose patients’ health was being compromised by exposure to lawn chemicals. Firm in her belief that her patients were becoming sick from contact with pesticides, Dr. June Irwin fought tirelessly for six years before the Hudson pesticide by-law finally passed in 1991. Most Physicians would not self-identify as environmentalists let alone political activists, so what Dr. Irwin achieved in winning a Hudson pesticide ban was far greater than protecting the town’s residents and ecosystems. She also opened a door for doctors across the country to see themselves in a different light. And now, doctors in Canada are at the forefront of the effort to convince governments to ban the use and sale of these toxic substances to protect the planet and human health. Today, Canada has 168 municipal pesticide by-laws and four province-wide bans. 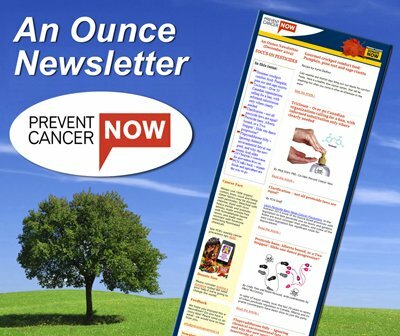 In almost all of these cases, physicians have led the fight – along with community groups and large health and environment organizations – to share their scientific knowledge and inform decision-makers about the harmful effects of pesticides and the many safe alternatives that exist. This is illness prevention at its best. Since the passing of the Hudson by-law, there has been additional research into pesticides and human health, which helped further the cause. A landmark study by the Ontario College of Family Physicians (OCFP) continues to play a significant role in the anti-pesticide saga. Initiated by the OCFP’s Environmental Health Committee and released in 2004, the College’s Pesticides Literature Review is a “comprehensive review of research on the effects of pesticides on human health.” The review shows links between pesticides and serious illnesses such as brain cancer, prostate cancer, kidney cancer, pancreatic cancer, non-Hodgkin’s lymphoma, leukemia, neurological illness, birth defects, fetal death, intrauterine growth retardation, and more. The Pesticides Literature Review stresses that children are particularly susceptible to pesticides and urge family physicians to focus on illness prevention and to advocate for pesticide reduction. The review makes the issue of pesticides and human health easier to grasp for busy doctors and law-makers and is used by many physician-activists in battles across Canada working to reduce pesticides as a public health measure. The authors of both of these studies have given additional fodder to those advocating for pesticide bans. They provided a strong backing of scientific research for outlawing these chemicals. What we can learn from the pesticide issue is that when doctors join a political battle, it gives the cause more legitimacy. When doctors speak up, decision makers listen. Physicians have clout and can use that power to advocate for illness prevention and the protection of public health on a large scale, not only with pesticides, but also with eliminating other toxins and threats to human health. It’s important for this message to get out, and for all doctors to understand the extent of their influence, so they can pursue their passions and uphold the Hippocratic Oath as strong community advocates. ACTION ALERT: The B.C. government is conducting an online survey to gauge citizens’ views on a proposed pesticide ban. We urge everyone, no matter where you live, to please register your support!